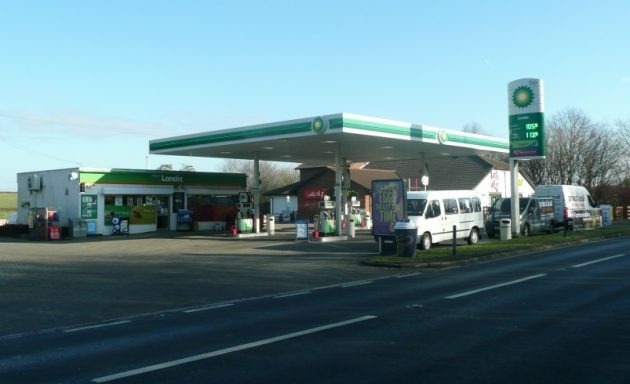 The energy conglomerate BP is not taking no for an answer and is appealing Rother District Council’s (RDC) decision to turn down its planning application for a petrol station at the top of Udimore Road. As previously covered in Rye News, RDC had originally rejected BP’s application for a petrol station and retail unit on the grounds that it would extend the development of Rye into open countryside and adversely affect the rural character of the area and the entrance to the High Weald Area of Natural Beauty. While all the previous correspondence on the planning application has been forwarded by RDC to the Planning Inspectorate appointed by the Secretary of State you can still submit comments and objections or by emailing East2@pins.gsi.gov.uk. It is a simple online process, merely go to the website and enter the code 3196157 and type in your comments. All comments must be received by August 28 2018. Image Credits: Planning Application document. Sadly this appeal is unlikely to be opposed by Rother. Not because BP has a case, but because Rother has no money to defend its position. BP’s Appeal makes many arguments and is enormously long, accompanied by extensive appendices. None of it, as far as I can see, counters, or could counter, the primary reason for refusal, that the development ‘would extend the development of the town into open countryside beyond the clearly established town edge, introducing a discordant addition at the approach to the town, adversely affecting the rural character of the area and the entrance to the High Weald AONB’. The Appeal says that there are no previous planning applications for the site. This is not the case. The eastern (approximately) half of the site, from opposite Cadborough Farm drive eastwards to the roundabout, was within the Valley Park development for 135 houses, approved on appeal in 2009. The Inspector for that appeal required submission of landscaping proposals to the planning authority. This was done and this eastern part of the petrol station site was designated as grassland. Apart from the basic unsuitability of a petrol station in this area, can an existing planning condition simply be set aside and forgotten? One must agree with Jeremy Naylor, Rother haven’t even got the funds to repair the Landgate tower that they own, common sence needs to prevail, and it needs Rye town council and East Sussex to prevail, and purchase the old garage site off the environmental agency at strand quay, and put the garage on its rightful place, with BP picking up the final tab. I hope that many people will make relevant observations to the Planning Inspectorate very soon. I have made representations on the basis of the number of traffic movements it will generate, the complete inadequacy of the Udimore Road to handle them, the danger caused by upcoming vehicles mounting the footpath to get past, the level of noise and disturbance caused to residents of Udimore Road as heavy vehicles and cars stop and start to get by, the attendant increase in pollution levels, the unacceptable visual prominence as the neon lit structure stands above the beautiful town of Rye, and the fact that planning for a less intrusive development has already been turned down. The issue is not whether a fuel station is appropriate for the town. The issue is that this site is completely inappropriate. I applaud Ernest Pollard for his comments and I am sure he has contacted the Planning Inspectorate for the Secretary of State in this regard. More local residents need to add their comments so that the Appeal Committee realises the strength of local objections. Just a line or two will do – they have to read and acknowledge all correspondence. With work starting in the next few months on the Rother Eastern Tidal Wall by the Environment Agency the area of Rye at the Freda Gardham School site will be able to be developed. A garage and retail outlet on this site by the side of the A259 makes far more sense than in a backwater of the town on a terrible road junction which would be unsuitable in many ways. More traffic on the B2089 and the dangerous parking on Cadborough Hill makes this project by BP completely illogical. We agree with John Tolhurst use the old petrol station on the strand quay what a eye sore for years it’s been like it , they could purchase land either side and still build shops and tidy that entrance to Rye but no common sense isn’t part of the equation, the environment agency own some of that land but it’s like everything in Rye 30years time warp we live in , Kent CC would of built on that site years ago. Look at the old primary school I boarded that up 15 years ago approximately and ESCC just sit on these sites along with the Freda Gardam site ,WHY ? It won’t happen and the reason is that nothing ever happens in Rye whether it’s suitable or not. An announcement this week that an exciting new gift shop is opening in the high street, just what the town needs. Rye is a complete shambles, parking is a joke, Jempsons are now cashing in, I went there the other day, the car park was full and the shop was empty and people wonder why it needs some competition. What Rye needs to do is talk to the local residents and I don’t mean those fortunate enough to live in the citadel but the working residents who live on the outskirts and make up the bulk of the population. Everyone bangs on about our wonderful quaint little historic town but in all honesty what is there to keep born and bred Ryers here? I have some sympathy with the frustrations of Stewart Doyle and Tony Edwards. I was born in Rye in the 50’s and I have not seen many changes in the town, but most of those that have occurred have not really been for the benefit of ‘ordinary Ryers’. I disagree with John Tolhust and and Stewart Doyle’s comments about the old petrol station being the “rightful” place for BP’s proposed new development. The idea that it must be better than what is there at the moment lacks imagination and forethought of what could be the jewel in the crown of a future splendid waterfront plaza totally in keeping with the maritime traditions of Rye . Traffic volumes have significantly increased since the closure of the original petrol station. Any attempts to have vehicles entering and exiting at this site would cause utter chaos at what is already existing bottle neck with queues to the “Kettle of Fish” roundabout to the East and the Harbour Road turn off to the West. If Rye does need another petrol station (something that I doubt given that there is already one petrol station albeit small in Rye and another only a few miles away in Peasmarsh) then I agree with Frank Langish that the best option would be the Freda Gardham site across the river. The problem with developers is that they think that the best site for any development is where they own the land. So they produce the evidence that fits. Park the proposed site near to the ‘blessed’ De La Ware and see the funds found to fight it and the objections fly in..!!!.. Sadly no one cares enough about the AONB to make a stand. Strand Quay surely can’t be the logical site due to the traffic volume (and visitor idiocy… seriously does any visitor remember the highway code for roundabouts??) And the site probably isn’t big enough to be of viable commercial interest to BP (no room for the M&S food shop!). Now that you’re here; Dear Rother Council,can you take your finger out and find money for the Landgate tower??? Have a whip-round at your meetings…. ? The BP fuel station and store Appeal Hearing will be held on Tuesday 25 September at Bexhill Town Hall, starting at 10 am. Attend if you can. It’s a pity it is not in Rye.